As a kid, I loved soccer. I spent almost 20 years of my life dedicated to getting better at the sport. I used to ride my bike up to the fields and practice alone for hours every day. It consumed me and I loved every second of it. I got so good at soccer that I eventually had an offer to play in college and at a school that was smaller than my 6A Atlanta area high school. Oh, and also I would have to pay for all of my tuition. Not exactly what I was hoping would happen. I’m thankful for my many hours dedicated to soccer. It taught me so many valuable life lessons. But soccer is not eternal. So how do we practice things here on earth that will prepare us for eternity? First off, let’s take a look at what the Bible shows us is happening in eternity. Now, I don’t know what the zoo you go to is like, but the creatures described here aren’t like anything I’ve ever encountered at Riverbanks Zoo before. It points us to a thought that worship in heaven is in a form and function that is solely reserved for Heaven. But that’s a topic for another day. The important thing to note here is in Revelation 4:8 which says these creatures never cease in their worship. Never. Likewise in verse 9-11, we see that the 24 elders fall down before the throne and worship Him who is seated on the throne ANYTIME the four creatures give Him glory. So, all the time, and anytime = all the time. The worship of God in heaven is eternal. It never starts. It never stops. It exists outside of time and meter. It is constant. Revelation is full of examples that point towards the end goal of the cannon of Scripture as a whole: the worship of God who is the only one worthy of glory, honor, and power. This brings us back to what we do when we gather as a church. Musical style isn’t mentioned anywhere in the Bible, and that is because worship transcends music. Music and singing can be an ACT of worship, but it is not worship in its entirety. When we gather and give God glory, we are merely rehearsing for what we’ll be doing for all of eternity. We’ll humbly be in awe of God’s glory, his grace, and his mercy. 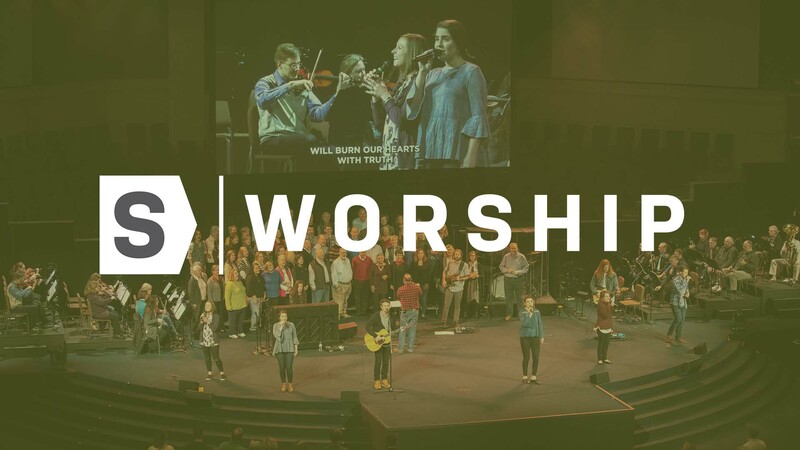 When we gather as a church to worship, let’s approach it with the viewpoint that we are practicing for the main event: worshiping God before His throne in heaven. If we can shift our focus, it breaks down so many barriers: where you're seated, how your week has gone, whether or not you like this song or that style. It forces us to focus our eyes towards the eternal. When you are practicing, you're being intentional, trying new things, making mistakes, learning from them and getting better. We rehearse for eternal worship together so that we can train our hearts to focus on the eternal worship of God, and not the temporary things of this world. So, I’ll see you at rehearsal this Sunday!